New Shazam Costume Set Photos Are Really Good, Earlier Shots Were Horrible. 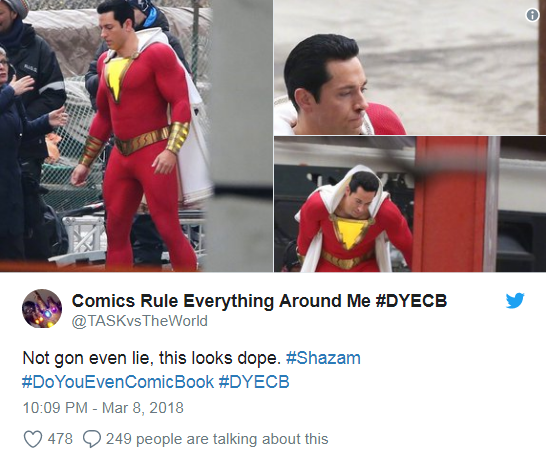 Home Comics New Shazam Costume Set Photos Are Really Good, Earlier Shots Were Horrible. 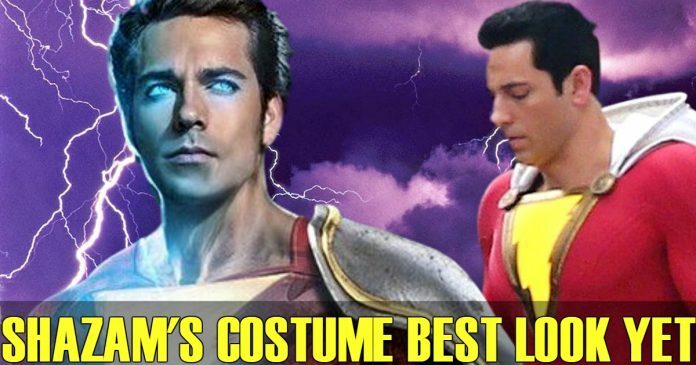 A great deal of debate has taken place about the way Zachary Levi’s costume in Shazam! looked, after a few unofficial set photos and videos of his suit were leaked on the net. As is the case with superhero films related details which are leaked like that, fans became worried about what was revealed. Fortunately, a new bunch of Shazam! set photos are likely to make a better impression on the fans. The new photos clearly showcase the influence of New 52 on the costume worn by live-action Shazam! You can also see the standard padding which helps the actor to bulk out his/her costume. That’s a key information for fans, most of whom were apprehensive about Levi’s suit being a regular spandex costume which would appear nothing, but, cosplay on the big screen. For the loyal DC fan, there is another Easter egg hidden in this costume: the two buttons which hold Shazam’s cape in place have tigers on them, a direct reference to Mister Tawky Tawny, the weird Golden Age Shazam! a character who was nothing else but a talking tiger. The set photos also clearly reveal that Shazam (Levi) will be similar to the other DC Films superheroes seen on the big screen. Whether it is the hairstyle or the costume, the actor appears to be the right choice to play the part, although fans were unwelcoming initially. 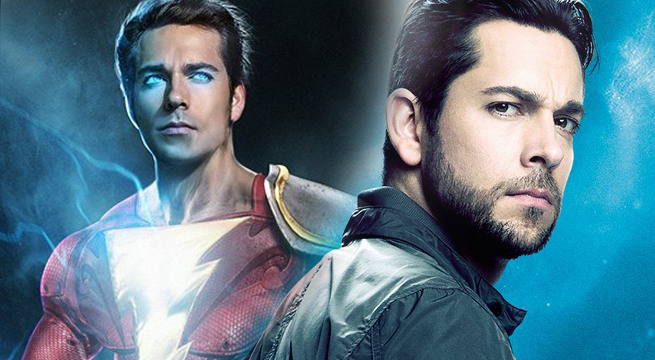 Bulked up by the padding of the costume, Zachary Levi has also been building some muscles. Shazam! is the story of Billy Batson (Asher Angel), a young Philadelphia foster child who gets the power to become a mystical superhero, courtesy an ancient wizard (Ron Cephas Jones). The movie is going to be full of Easter Eggs from DCEU, and a probable Henry Cavill cameo as Superman. It is also one of the only films that DC Films is scheduled to release in the next two years. Therefore, a great deal is depending on it. Justice League’s cinematic version is now available on Digital HD, and its Blu-ray will release on March 13 along with deleted scenes. DCEU’s next releases are Aquaman on December 21st, Shazam! on April 5, 2019, Wonder Woman 2 on November 1, 2019, Cyborg in 2020, and Green Lantern Corps in 2020.